The Tame Valley Wetlands is a landscape partnership scheme, led by Warwickshire Wildlife Trust and supported by the Heritage Lottery Fund and a partnership of local and national organisations. Our vision is to create a wetland landscape, rich in wildlife and accessible to all. A visual record of the Coventry music scene, 1979–1981. Family history social and support group which meets at Trinity Catholic School on one Tuesday evening a month from 7pm until 9pm, term time only. We are looking to document every 948cc Herald that was built (between 1959 and 1961) and share memories of these cars - so if you owned a 948cc Triumph Herald please get in touch. 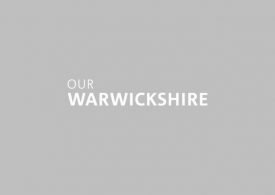 Our Warwickshire is building up a list of local heritage groups, museums and archives in the county.